Brewing the perfect coffee can seem like an arcane art. You’ll often hear talk about magnesium levels, mineral composition, grind coarseness and many other factors – so it can be hard to know what really makes a difference and what can be ignored. If you know how to optimise and control these five factors, you’ll find it much easier to consistently brew your ideal coffee. To be clear, these aren’t the only things that can affect the taste and consistency of a cup of coffee. As amateurs brewing coffee at home, however, we can focus on those that are likely to make the biggest difference. Let’s take a closer look at each of the above factors. One of the biggest factors affecting coffee taste is water composition. While you can’t control the water out of your tap, there are various filtration methods you can use to produce more consistent coffee. The ideal water should have plenty of magnesium and low amounts of bicarbonate. This combination improves taste extraction while minimising minerals that destroy flavour. It also ensures that the “right” amounts of sugars, acids and other substances are extracted during the brewing process. As a general rule, you should try to avoid hard water. Some coffee machines include built in filters to reduce water hardness, while for more basic machines you’ll need to filter the water before you use it. This can be a hassle, but don’t overlook filtration. It can make a big difference to the final taste of your coffee. Note: It’s important to understand that even with proper filtration it’s impossible to get consistent results every time. Using the right type of filter for the water in your local area can eliminate some of the most common causes of poor-quality coffee though. As you would expect, the temperature of extraction can greatly affect the taste of coffee. Cold water isn’t going to produce a tasty cup of coffee, after all! A basic rule is that hotter water speeds up the rate of compound extraction. This means you get more taste in less time. Higher temperatures also increase the extraction rate of caffeine. There’s another factor to consider though: oil evaporation. If coffee is boiled at extremely high temperatures, the compounds that provide flavour and aroma may evaporate, which can ruin the taste. For this reason, you need to find a balance between high temperatures that aren’t too high. 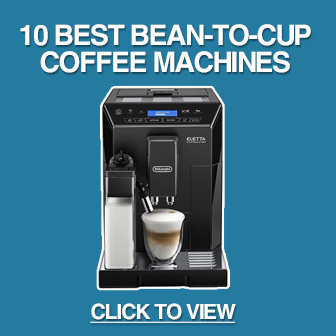 Most bean-to-cup coffee machines have grinders with multiple settings for coarseness. How do the various settings affect the coffee though? When a substance is part of a chemical reaction, the greater the surface area the faster the reaction occurs. This means that the finer the coffee the faster the flavour compounds can be extracted. A fine grinding setting often results in coffee with more organic compounds and caffeine. Very coarsely ground beans have much less surface area in contact with water, so the extraction time needs to be longer. This is a potential cause of weak coffee – although there may be other factors such as the extraction duration. In most cases, a middle-ground is the best option. You may want to experiment if you find your coffee is either too “muddy” (fine) or too weak (coarse) though. The amount of coffee in relation to the amount of water is arguably the most important factor when brewing. This makes intuitive sense. Too much water and the coffee will be weak – even if you’ve properly optimised all the other factors of the brewing process. Too much coffee and the final cup will be overly strong and unpleasant to drink. There isn’t a “best” ratio, however, as the right amount of water depends on the type of extraction, duration, temperature and grind coarseness. It also varies depending on how you like your coffee. If, for example, you’re using a drip filter with a high temperature, then you’ll want to use less coffee in relation to water. This is because hot temperatures speed up the rate of extraction. Extracting with a French Press, on the other hand, requires more coffee. Most bean-to-cup coffee machines have a set water temperature. This allows you to adjust water quantity depending on the taste you enjoy. Like many parts of the coffee-making process, extraction duration requires a delicate balance for the best results. A short extraction duration prevents the build up of bitter acids that can ruin the taste, but at the expense of flavoursome oils. Longer extraction times may result in more flavour, but the added organic acids may cause bitterness. Ideally, you should aim for an extraction time that contains the maximum amount of caffeine and flavoursome oils but without too much bitterness. Even small changes can make a difference to how your coffee tastes. For this reason, extraction duration is a setting you should spend time experimenting with. Make sure you only change one variable to see how it affects taste though, as altering grind coarseness or temperature can affect the optimum extraction duration. 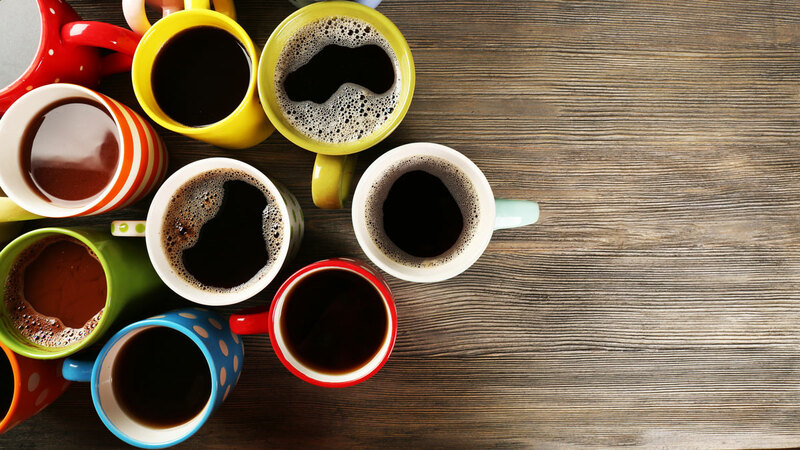 When you first start brewing coffee, the various factors can be overwhelming. This isn’t made easier by coffee machines that come with a host of settings and advanced features. When you boil it down, there are only a few factors you really need to worry about though. These are water quality, coffee/water ratio, grind coarseness, extraction duration and water temperature. If you learn how these factors interact to affect the taste, aroma and freshness of coffee, you’ll be getting consistent results faster than you think.